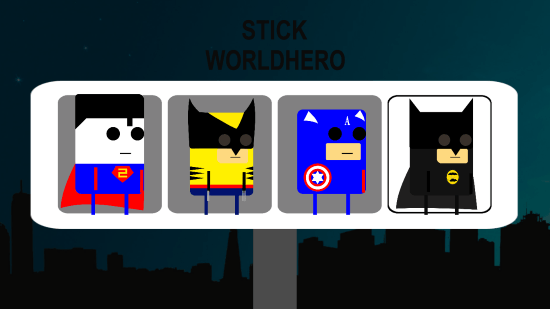 Stick WorldHero is a free Super Hero game for Windows 8 and 8.1 computers. 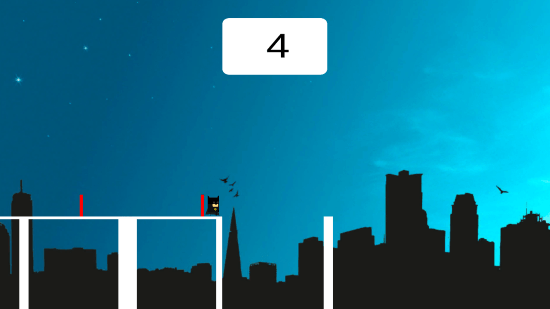 This game is all about Stick figured Super Heroes jumping and crossing obstacles at dangerous heights across the city. Cross the gap by drawing lines to reach the other building. The lines have to be drawn accurate enough, so that they don’t leave even a small gap, or crosses the building. The backdrop of the game is famous cities from around the World. 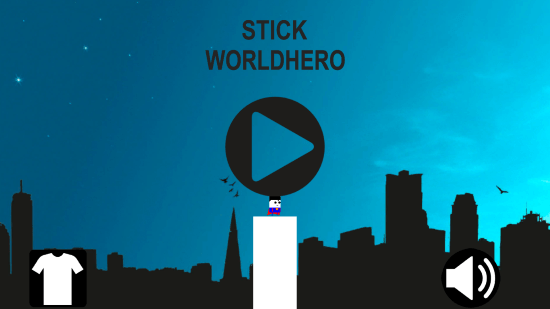 Stick WorldHero occupies a very less space on your computer. With a size of 9.93 MB, this Super Hero game for Windows 8 gets installed very quickly. The game’s graphics are very attractive. After installation, you will be welcomed by a screen, where your Super Hero will be standing on top of a building, ready to conquer the city. The gameplay seems to be easy, but it takes a lot of effort to get started with the game. Once you get a hold of the game, it gets addictive, as you will try to break your record every time. Click on the Clothe icon on the bottom of the screen to select a character. Click on the large play icon to begin the game. A building appears, and you have to press the mouse to draw a stick. Press the mouse long enough to reach the other building accurately. The line is drawn vertically, and once you leave the mouse’s button, the stick falls down horizontally towards the other building. But wait, that’s not the only challenge. A vertical red line appears on the stick randomly at any place. You have to jump the obstacle to reach the other building. If you do not jump, and collide with the line, your character dies. 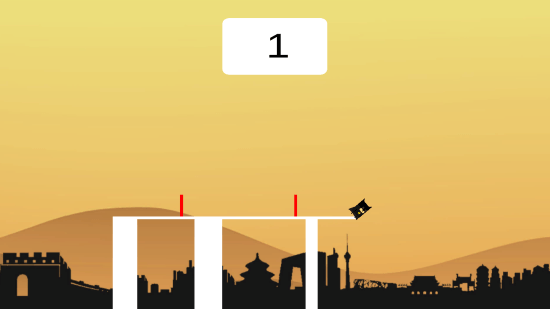 If the horizontal stick is not long enough to reach the other building, or is longer than the building’s reach, then also your character dies. The background of the game is visually appealing, and keeps the player attracted to the game. The background changes with each game. This free Super Hero game for Windows 8 keeps you engaged with the game, even without any sound effect of music. This is a must download for all the super hero fans. The stick figured super heroes are really fun to play with.